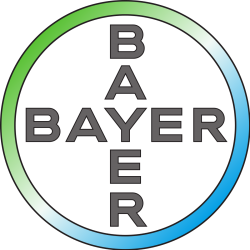 Bayer AG is a German chemical and pharmaceutical group operating at an international level. It operates in the fields of chemicals, healthcare and polymers, as well as in agriculture. Bayer CropScience, whose headquarters is located in Lyon, is a subsidiary of Crop Protection, Seeds and Environmental Science. It performs strategic functions and plays a major role in contributing to Bayer CropScience and its economic performance and global research. The company is committed to contributing to the development of a sustainable agriculture, in a tangible way every day. The Group is continuing its investment dynamic at the Villefranche-Limas industrial site, one of Bayer CropScience‘s largest production sites in the world. The Group’s new high-tech quality control laboratory was inaugurated on 26 June 2017. With 4.5 million euros invested in the site, Bayer Villefranche-Limas is a strategic site in the heart of Europe. With nearly 16,000 analyses performed each year, quality control is a key activity for the Bayer Group. The new laboratory fully meets the group’s needs while guaranteeing performance and safety. Built in only 12 months, the 810 sq. m building (compared with the former 400 sq. m lab) is part of a move to improve quality control practices and analytical support.